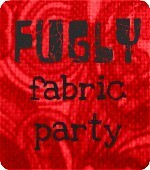 Have you heard of the Fugly Fabric Party, over at Charm About You? 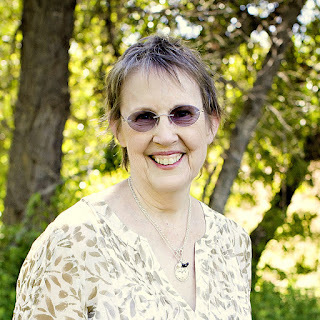 Lucy has organized a link-party, go see what everyone is offering. After all beauty is in the eye of the beholder. Be it fugly, ugly, not your taste or just fabric you're not likely to use. You can have a giveaway, competition, swap or offer it to anyone who'll pay the postage! It's lovely, but I haven't used it in over 2 years. 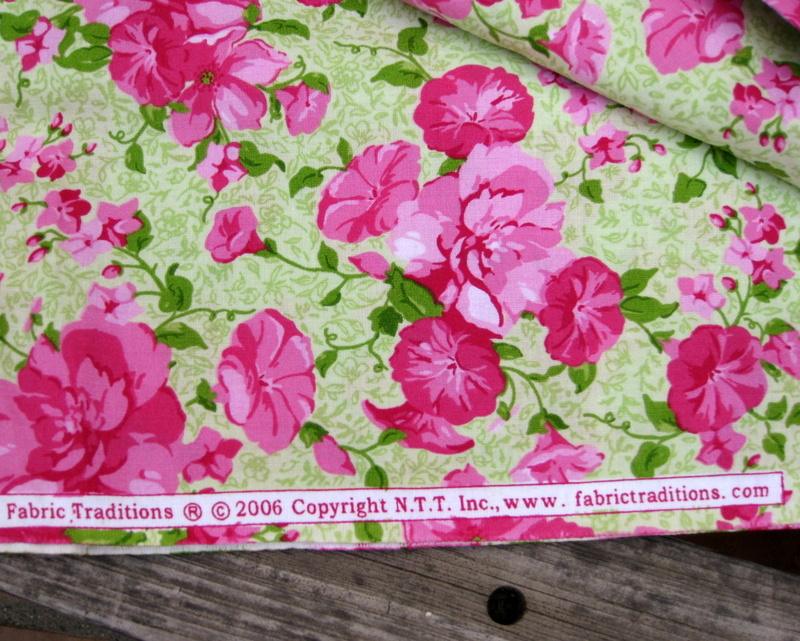 There's 2 yards, and the salvage says Fabric Traditions, 2006. If you're interested leave a comment. If more than one person is interested, I'll use Random Number Generator to choose the winner. If you're in the US, I'll pay the postage. You can enter until Thursday, 2/9, at 5 PM, PST. I AM INTERESTED!!!!! (waving hands in air!! 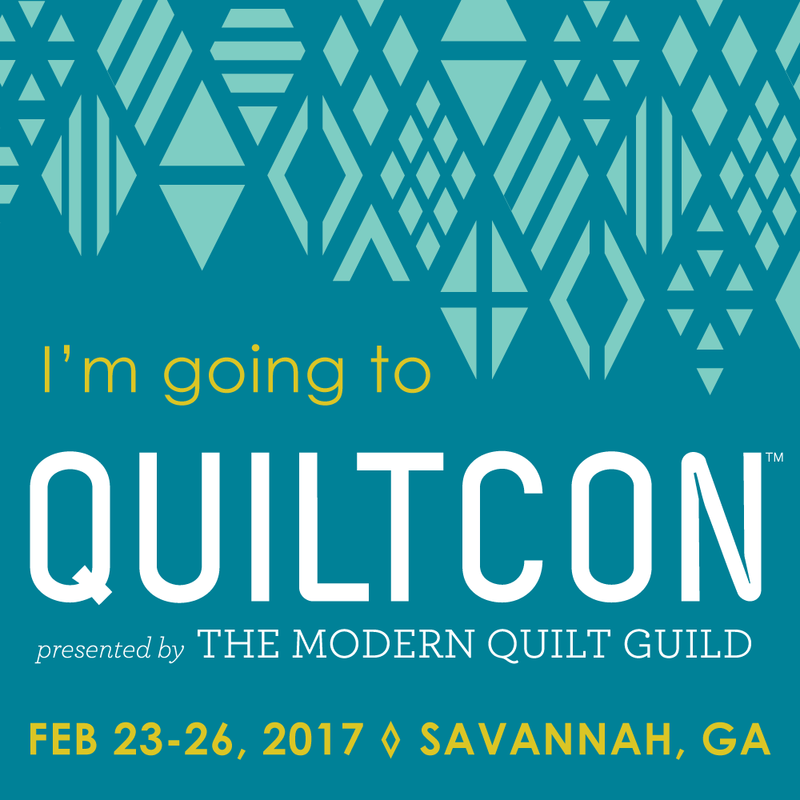 ;-) I can just *see* that fabric in a lattice quilt-- it would be gorgeous! Thank you for sharing and giving us a chance to win! Please include me. I am making a breast cancer quilt and this would work in that. Oh my gosh, it's fabulous! Isn't it funny how some fabric we are sick of looking at is fresh and new to someone else!? 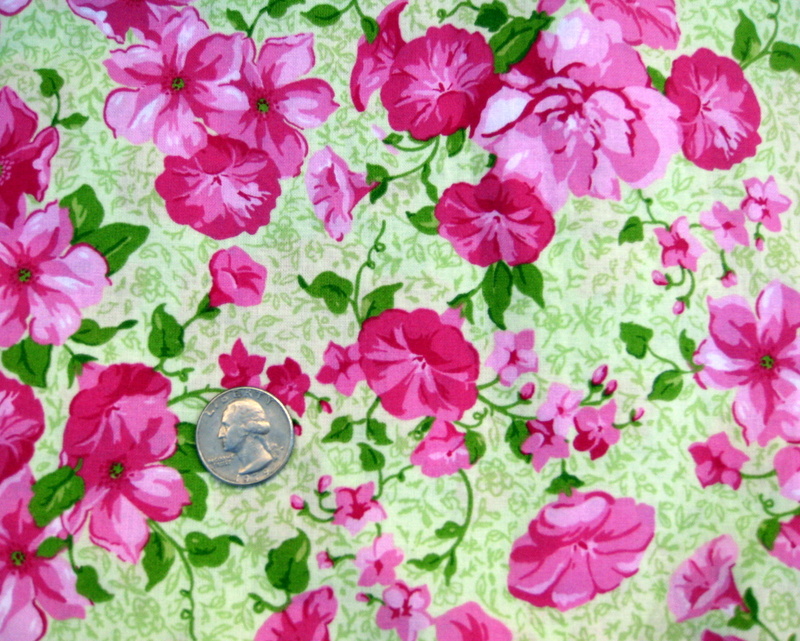 Oh I would love to have this fabric to make my mom a quilt with for her birthday in Aug. This looks like it should find a new home at my house. I will pet it and let it come out to play all the time. That would make a lovely quilt for a little girl's room. Or maybe even in a charity quilt. This would be fun to use in a project. Thanks for offering it to a new home! Thanks for giving your fugly fabric a chance at a new home! There is green in it - I just can't resist anythign green - I'm just glad there are no green cakes. What great fabric! I'd use it. :) thanks! 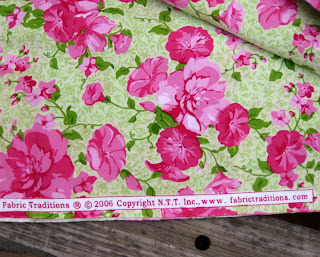 I think the fabric is very pretty! Send it my way! That is beautiful! Thank you for offering it! The fabric is beautiful! I make prayer quilts for our church ministry & would love to use it in our quilts! Thank you! I would love to win and a follower.